Third day enrollment records for the 2014-15 school year show the District has 3,553 elementary students–160 students higher than projected. 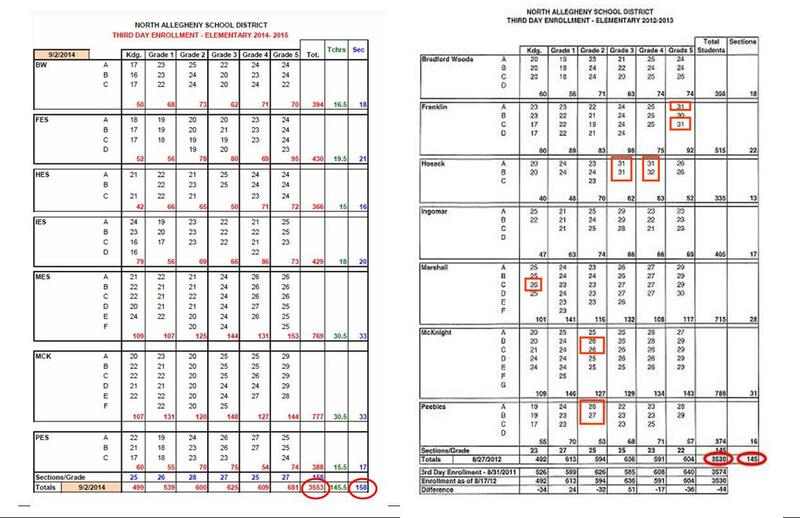 In 2012, the District hired a consultant who predicted elementary enrollment would decline to 3393 in 2014. The consultant recommended closing an elementary school. Last year’s elementary enrollment beat projections by 150 students and was the highest enrollment the District had seen in 15 years. This year’s elementary enrollment is the 3rd highest in 15 years. Third day enrollment records for the 2014-15 school year also show the impact of the new elementary class size policy, which was adopted in May 2014. Under the new policy, the District is operating 158 elementary sections and no sections started the school year above the class size guidelines. Compare this to 2012, when 11 sections started the school year above the class size guidelines because the District only operated 145 sections. Class size guidelines are 25 students for grades K-2 and 30 students for grades 3-5. The new class size policy states that the Administration shall determine the number of elementary sections in a manner that ensures that no section exceeds 29 students in 4th-5th grade, 27 students in 3rd grade, and 24 students in Kindergarten-2nd grade, when sections are created in early August.